Bet you thought we fell off the face of the earth...we didn't, but travel has cut into the blog schedule. 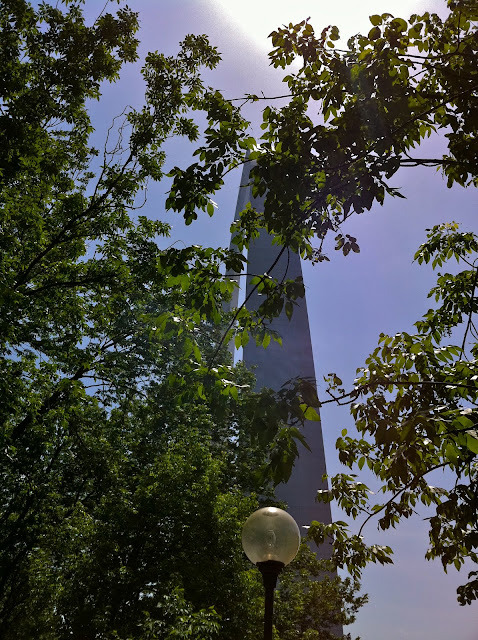 I thought about blogging from St Louis but then I decided the trip was about family time and that just didn't include blogging (it always takes longer than you ever expect when sitting down to write). Anyway, the trip was great...I have lots to share, the visit to Red Lead (fabulous), historic St Charles, and some other fun shops. I have to start at the end of the trip and the visit to the St Louis Arch. I have visited many monuments from Washington to Rio and the arch stands up to my personal litmus test. Which is, "when you walk up to the monument does it take your breath away". 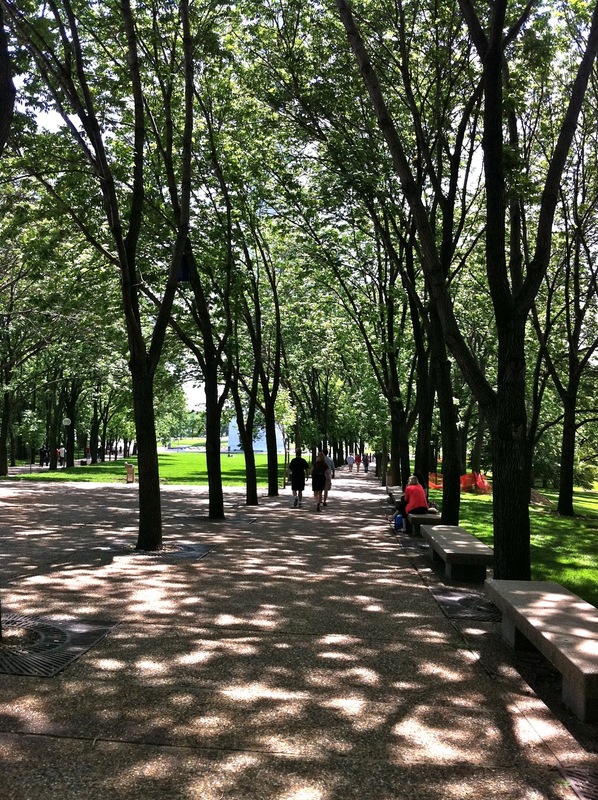 A visit to the downtown waterfront park was on my short list of things to see in St Louis. I wish I would have known to bring a blanket so my husband and I could lay on the grassy hill in the shadow of the arch and watch the clouds go by. The weather was warm, the clouds were moving fast, children were running and laughing, a bride was having her photo taken, a school group with bright yellow t-shirts crossed the lawn. 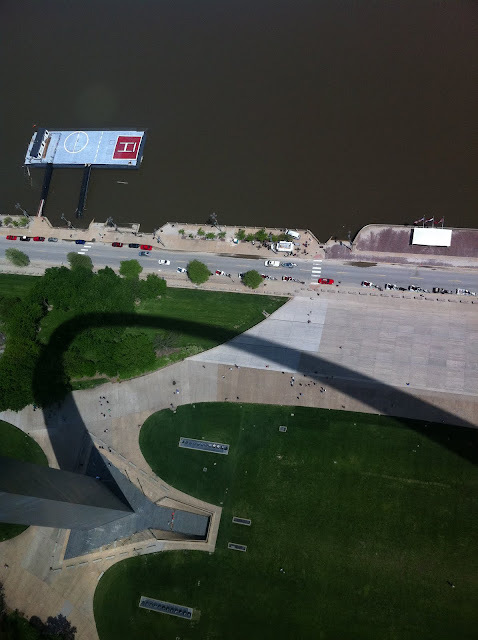 All in the shadow of the arch. We took the ride to the top in a pod of sorts (not too good for anyone who is claustrophobic) since there are no windows to see where your going. But the view when you get there...fabulous. It was a great day at the park and the perfect end to a week in St Louis. Lovely pictures! The weather looks gorgeous. 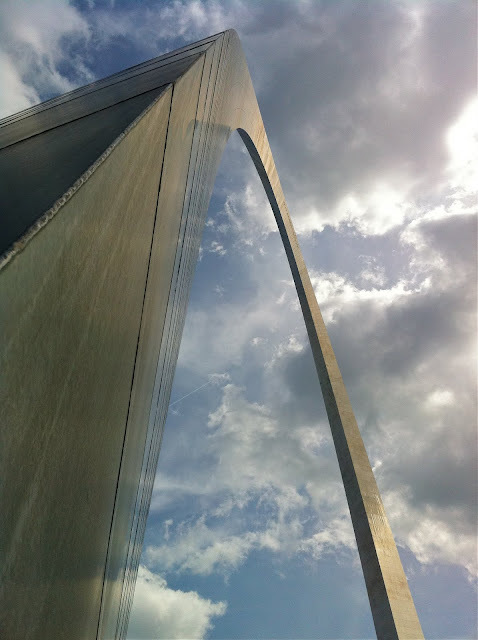 St. Louis and the arch are on my "bucket list". No way in hell-o could I go to the top of the arch. I have major height issues. Love your shots. I think my fav is the one of the corner of the arch looking skyward. Can't wait for the rest of your trip report!